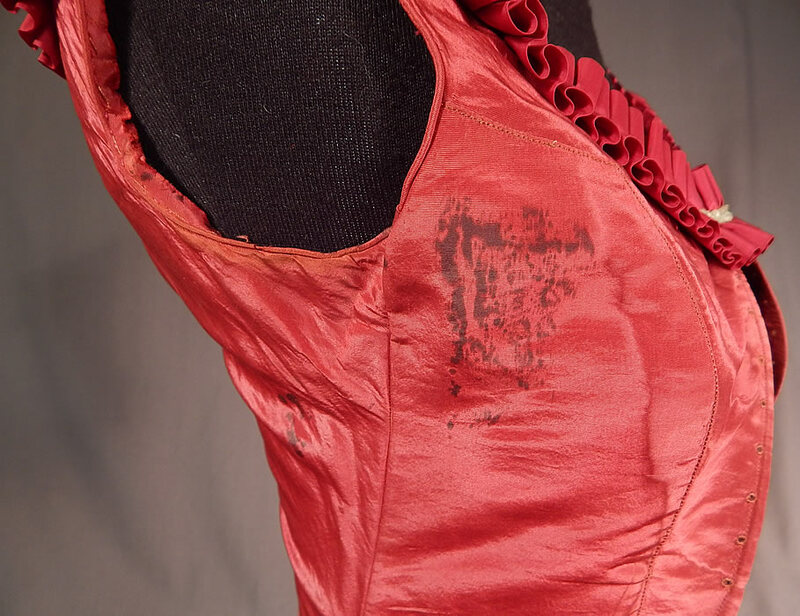 This antique Victorian Civil War era red silk white beaded ball gown bodice corset top dates from the 1860s. 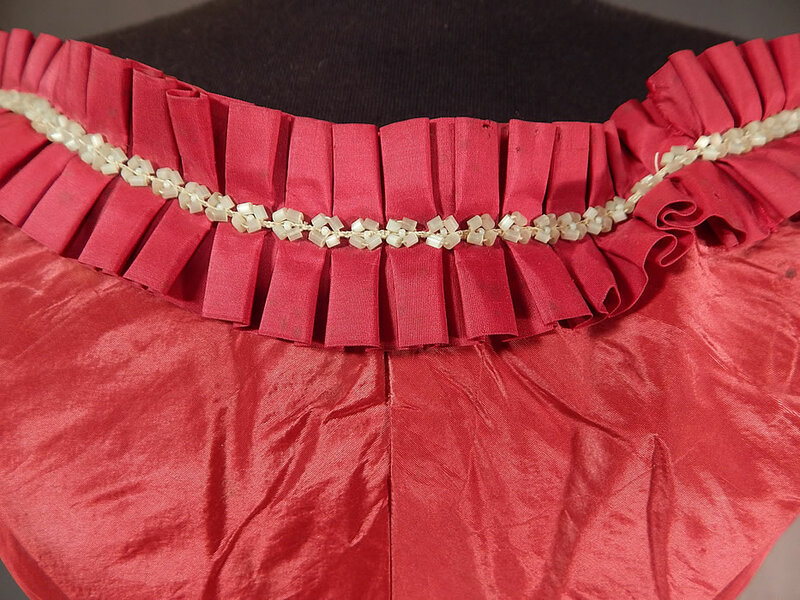 It is made of a crimson red color silk moire taffeta fabric, with a silk box pleat ruffle trim and white beaded neckline. This beautiful ball gown bodice top has a short cropped style coming to a long sharp point on the bottom front, a corseted back with original red silk lacing closure, off the shoulder neckline, sleeveless and is fully lined with stays, boning sewn inside. 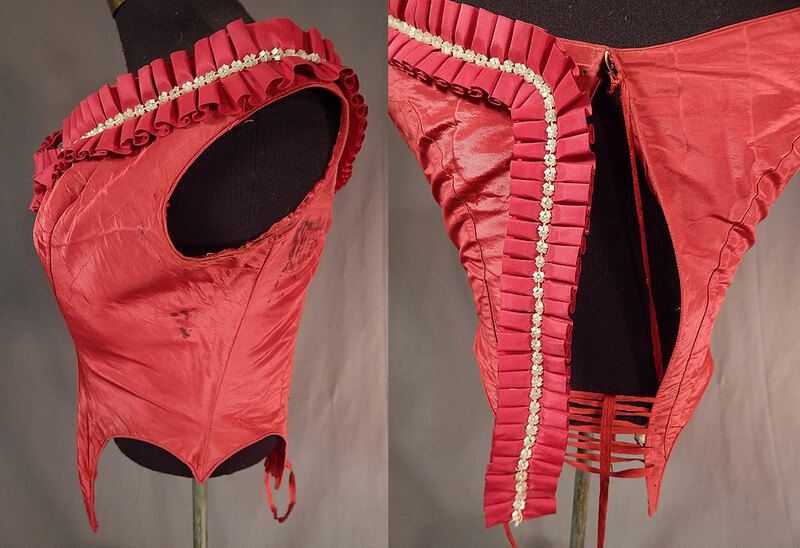 The bodice measures 13 inches long, 19 inches long in the front with the point, has a 30 inch bust and 20 inch waist. It is in good as-is condition, with some stains under the arms and on the inside lining. 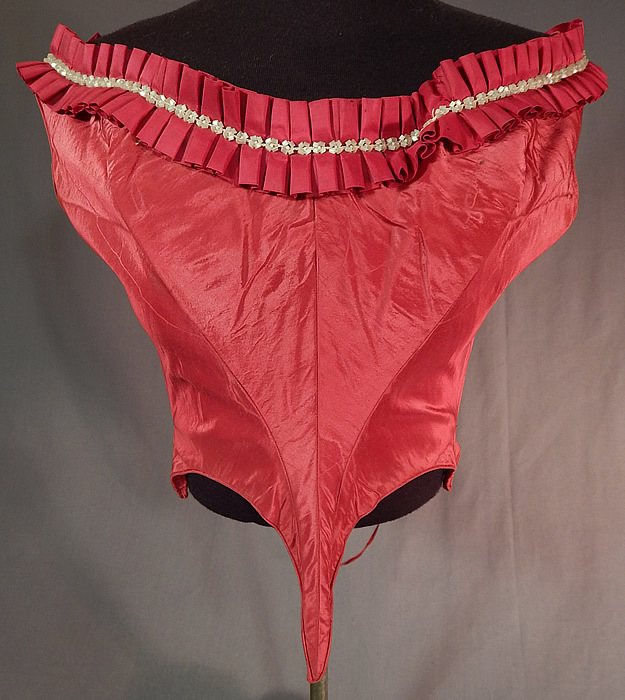 This is truly a wonderful rare red color piece of antique Victoriana wearable art!